Happy New Year 2018 is going to be a great year! I cannot believe how quickly 2017 flew by. I usually don’t have New Year’s resolutions because I don’t really ever finish them. This year I am doing something a little different and maybe you will want to tag along to see what it is. 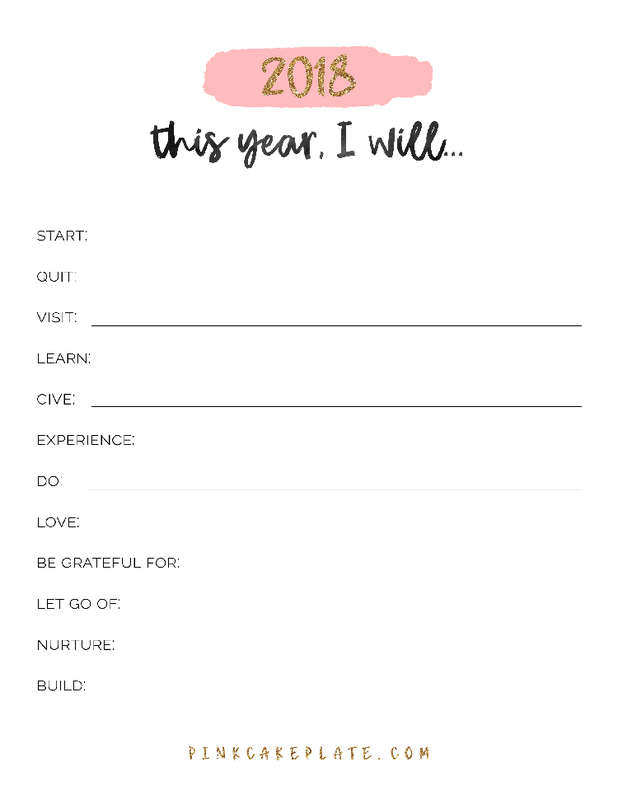 Instead of resolutions I am making simple statements starting with “2018 I will…” I also have this really cute worksheet that you can download. 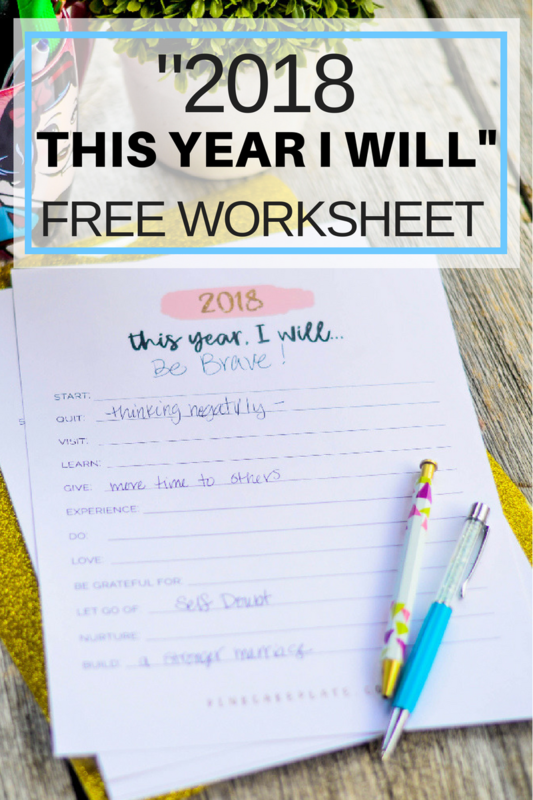 There are 12 simple “Prompt” words following “this year I will.” I really like this format for setting some fun goals for 2018. I think I want to add one more to the worksheet and it came to me as an after thought. I want one general statement. As I have been thinking about all the things I need to change in my life I think the biggest thing is to be brave. Be brave to be all that I can be. Be brave to let go of self doubt. Be brave to do all the things I am afraid to do. Be brave to do hard things. Be brave to do things I dont want to do. Be brave to be all I can be. 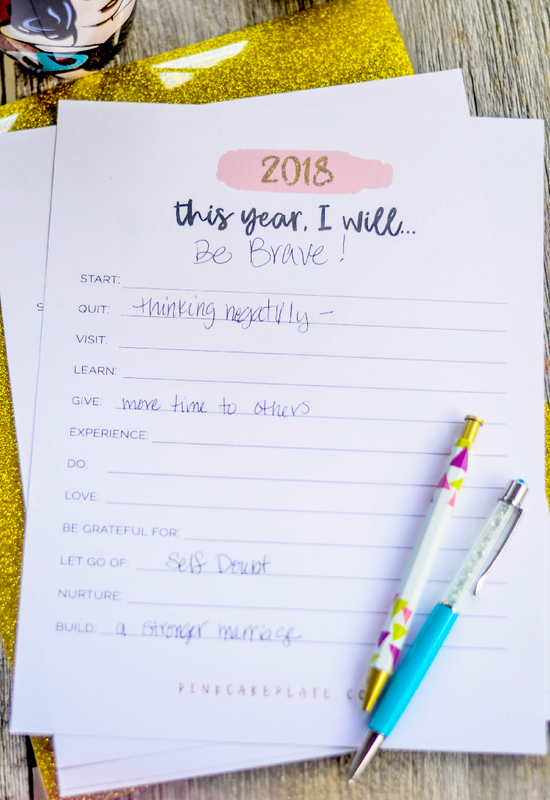 Being brave is hard for me. It is so much easier to sit back and let the world pass me by. Not in 2018 not this year. So here is what my worksheet looks like. Yes I added “BE BRAVE” at the top. 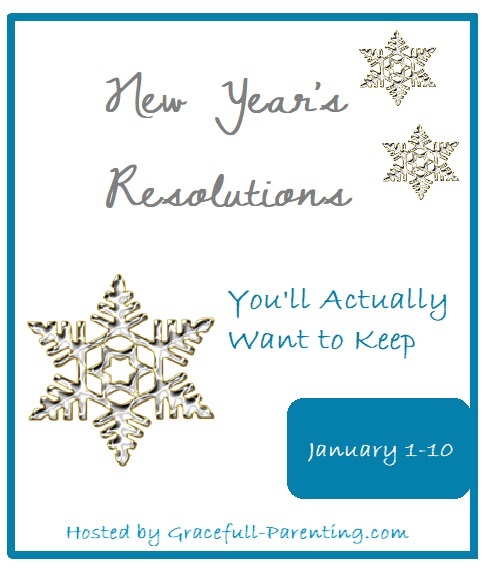 I have joined with a few other bloggers for a “New Year’s Resolution Blog Hop”. 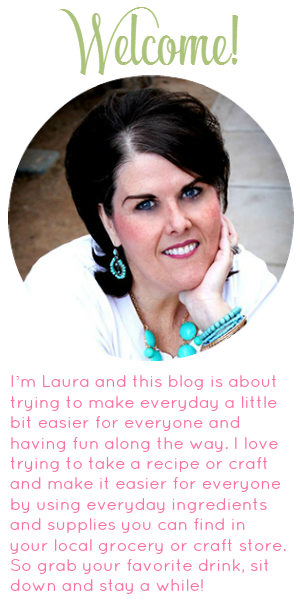 Posts will go live from January 1st through the tenth but take a look at these amazing bloggers who have joined this blog hop! 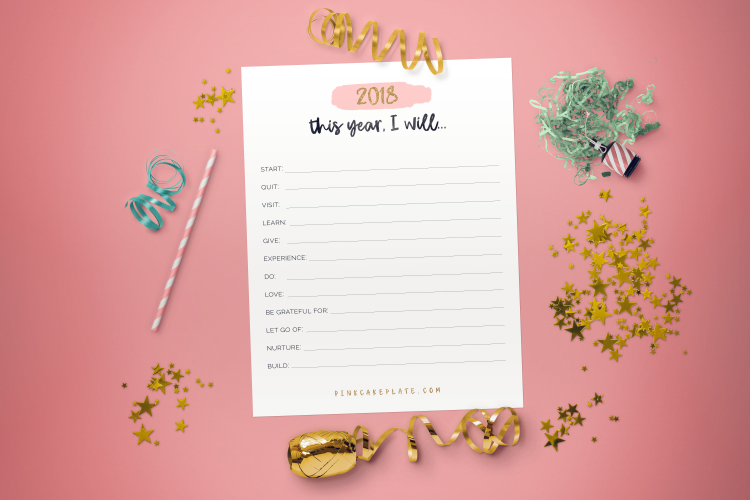 Make sure you head over to these other blogs to see their resolutions and their tips and tricks to keep those resolutions. Great printout to get me thinking! Thanks so much.